Dr. Shillingford continuously treats patients who struggle with obesity and a number of related diseases. 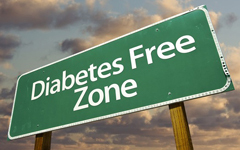 One major health concern for people who are obese is type 1 or 2 diabetes. This is because excess fat makes it more difficult to for the body to properly use insulin, the hormone that maintains blood sugar levels. This is especially true in type 2 diabetes where most cases diagnosed involve a patient who is overweight, and although type 1 diabetes is not weight-related, heavier people have more difficulty managing their condition. Due to the fact that weight can influence diabetes, and diabetes can influence weight, it is crucial to take steps in managing both conditions. The American Diabetes Association recommends patients with obesity and type II diabetes speak with their doctors about bariatric surgery as a possible means to put their diabetes into remission. Weight loss surgery is not a cure-all for obesity or diabetes, however. It is a supplement for weight loss that can make a remarkable difference for overweight diabetics. Both the gastric bypass and sleeve gastrectomy surgeries have received recent scientific support in helping patients accomplish significant weight loss and resulting benefits to diabetics. In fact, in a recent study that examined type 2 diabetes patients, the group that underwent bariatric surgery had a 75% remission rate. These findings continue to support bariatric surgery success in cutting annual healthcare costs. Last year the American Diabetes Association estimated that the total costs of diagnosed diabetes reached $245 billion in 2012. Not only are bariatric post-op patients drastically improving their quality of life, but they are also saving the hundreds of dollars once spent on medications. The first step in determining if bariatric surgery is right for you, is to consult with your primary care doctor and a specialist, such as Dr. Shillingford. Dr. Shillingford is a board certified surgeon who specializes in bariatric or weight loss surgery including the Sleeve Gastrectomy (Gastric Sleeve), Gastric Bypass, and Lap-Band procedures. His patients come from East, West, South, and North Florida. To learn more about Dr. Shillingford’s integrative weight loss surgeries and all-inclusive fees please call his office in Boca Raton, Florida at (561) 483-8840.